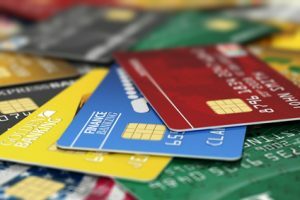 What happens if I don’t make my credit card payments? If you are still accumulating debt and have not initiated either bankruptcy or non-bankruptcy options, then making no payments at all will, at the least, cause your debt to grow at an alarming rate. For one thing, the bank will start charging you late-payment fees each month that you miss a payment. Those fees will be added to the principal and interest will be assessed on the new, higher amounts. Interest that goes unpaid gets added to the principal and in turn accrues more interest. You can see that the impact on the overall amount you owe can be very significant, very quickly. You also face the risk of your creditors filing suit against you, in which case you would be liable for not only the existing amount of your debt but also attorneys’ fees, court costs and, if the court deems it appropriate, additional damages. And of course late payments, missed payments and lawsuits will all show up on your credit report, potentially worsening your overall financial position. If a creditor sues you for lack of payment on a debt, chances are very good that they will obtain a judgment. Once they have a judgment their available remedies vary according to the laws of the state in which you live. Generally speaking, remedies include garnishment of bank accounts, garnishment of wages and placing a lien on any real estate you may own in that state. In Colorado, for example, a judgment creditor can garnish 25% of your take home pay from wages, your bank accounts and lien your real estate. With that said, however, there may be times when it can actually be to your advantage to stop making payments. For instance, if you are planning to file Chapter 7 bankruptcy in the near future, the full amount of that unsecured debt will be discharged, including the extra amounts that accumulate from fees and interest, as well as judgments that may have been issued against you in the case of creditor lawsuits. Another time when it might be advantageous to not make payments on your credit card debt is when you are close to reaching the statute of limitations on the debt. In Colorado, the statute of limitations for debt collection is six years—so if you have a debt that is five years old and you can avoid being sued for another year, that creditor will no longer sue you for the money since six years will have passed since the debt was incurred . One thing to keep in mind is that you will still be under pressure from your creditors. Just because you have decided to do nothing, it doesn’t mean that they have! But on average, only about one in two creditors will bring suit against you, and you may be able to settle those debts out of court. If too many of your creditors sue you, you can always file bankruptcy as a last resort. Your best option is to have a plan for moving forward, rather than just letting things happen to you. With proper planning you can design a debt relief plan where you can settle debts with creditors for 50-60 cents on the dollar, including all fees- and not be sued by creditors.